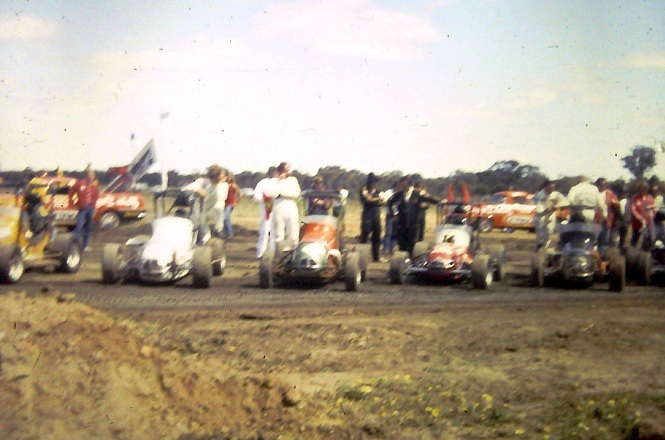 Members of the Katanning Car Club put a conciderable amount of work into establishing a dirt speedway track in Katanning, The first race meeting was held on the 10th of January 1960, Hot Rods raced on the track for the first time when seven competitors came from Perth to race in May of 1964. Marshall Motors donated a 1940 Chevrolet car to the club which was rebuilt by Derry Bairstow and Jimmy Heard of Dumbleyung to make the car safe, The drivers were then given a chance to drive and see if they could roll the car. Speedway was first held next to the Galloping track at O"Callagan Park, The speedway was built and run by the Katanning Car Club and operated separate to the horse racing club, The speedway club ran its own gate and canteens up until the new Katanning Speedway was built at Pinwernying Park on the Dumbleyung road over looking the town. 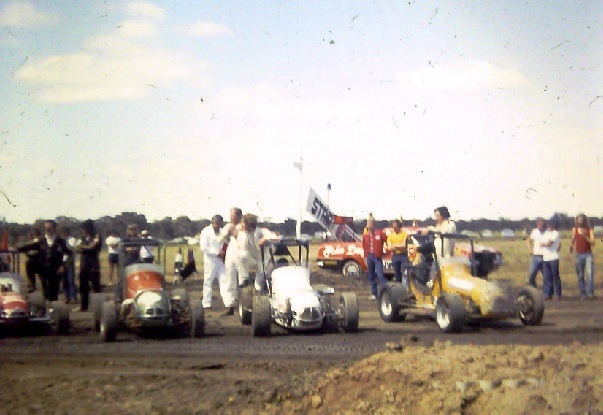 In March of 1965 the decision was made to change the clubs name to the Katanning Speedway Club, The club was incorporated and a constitution was then drawn up. Bill Veersma's FJ Holden served him well up until he removed the engine, to fit to a newer more favoured EJ model. 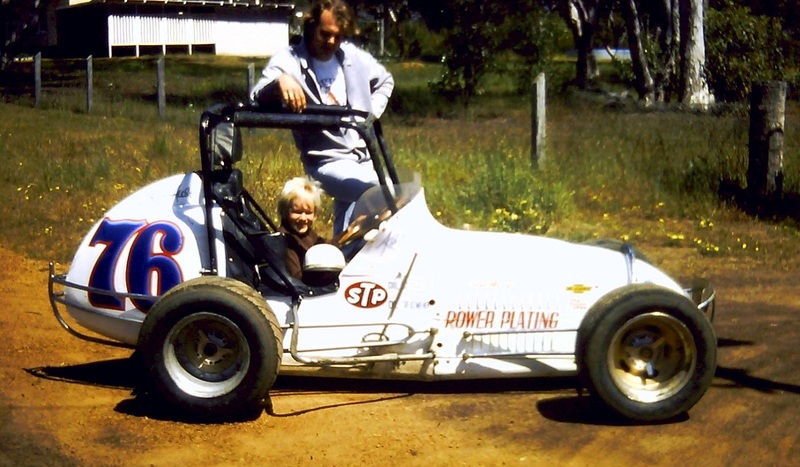 above: a very young Peter Veersma gets to meet one of the WASDA speedcar champions of the day in Keith Mann.